We have improved the payment options on WebReserv, making it easier for you to control when and how customers pay for their reservations. With the new payment module, you can specify which payments that you accept such as cash/check, PayPal and credit cards. You can also specify which credit cards you accept, such as Visa, Mastercard, American Express, Diners and Discover cards. To view and update your payment settings, log on to your WebReserv account and click Setup – Business – Payments. In addition to the payment settings, you can specify your currency if different from US dollars. 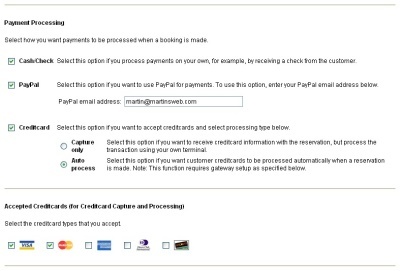 If you allow cash or check payments for reservations, select this check box. If you accept PayPal for payments, mark the PayPal box and enter the PayPal email address associated with your PayPal account. Upon completing a reservation with PayPal payments, the customer will be directed to a PayPal site where their payment can be completed. 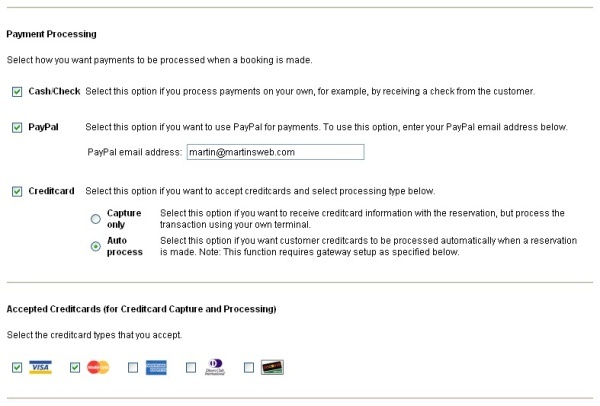 For credit cards, you can choose between capture and auto-processing. With credit card capture, WebReserv will keep the credit card information on file, but will not process the credit card payment. This is similar to many hotel reservations, where the credit card is processed only if the customer does not show up (no-show). 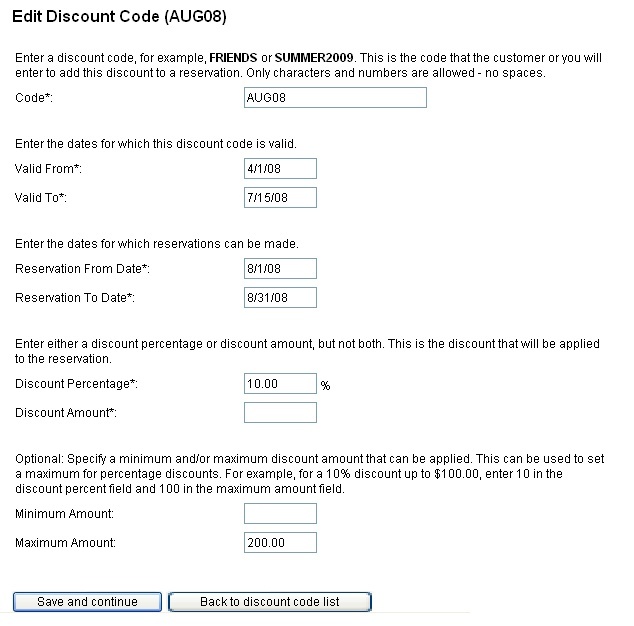 Automated processing gives you to flexibility to have the credit card charged immediately when a reservation is made. Don’t forget to specify which credit cards that you support. The new payment screen will be available on Wednesday, July 9th. We recommend that you log in on this date to review your payment settings and accepted credit cards. 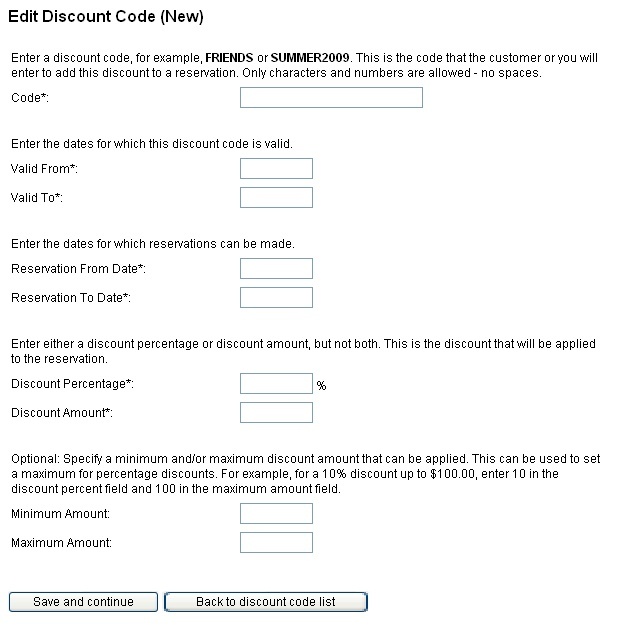 This entry was posted in New Features, Payment Systems and tagged Add new tag.